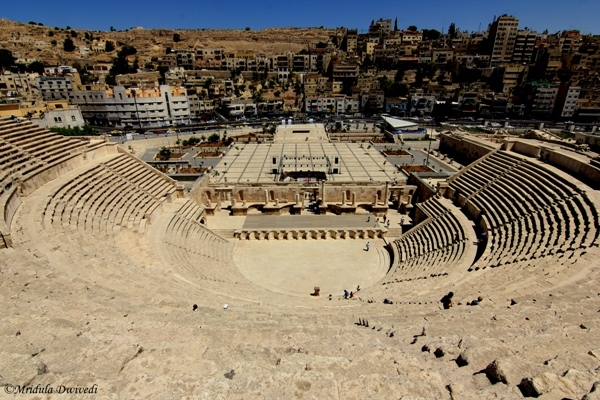 For today’s sky watch I present the Roman Theater Amman. It is a huge structure and you can see only a little of sky and a lot of the amphitheater. But it was such a sight to behold! The theater could seat 60,000 people. It was built in 131-168 AD (or what is said as CE now?). They used it for holding shows and entertainment. If you stand in the center of the stage and say something softly it echos through the whole arena. Now they knew something about sound engineering for sure! I was in Jordan on invitation from the Jordan Tourism Board and we were a group of 10 people. We were given sometime to explore the place. A few of us decided to climb up. I could not let the opportunity pass as I thought (and rightly so) that the view from the top would be quite something! The steps were steep and the climb took me sometime. One had to be careful because they were slippery too. 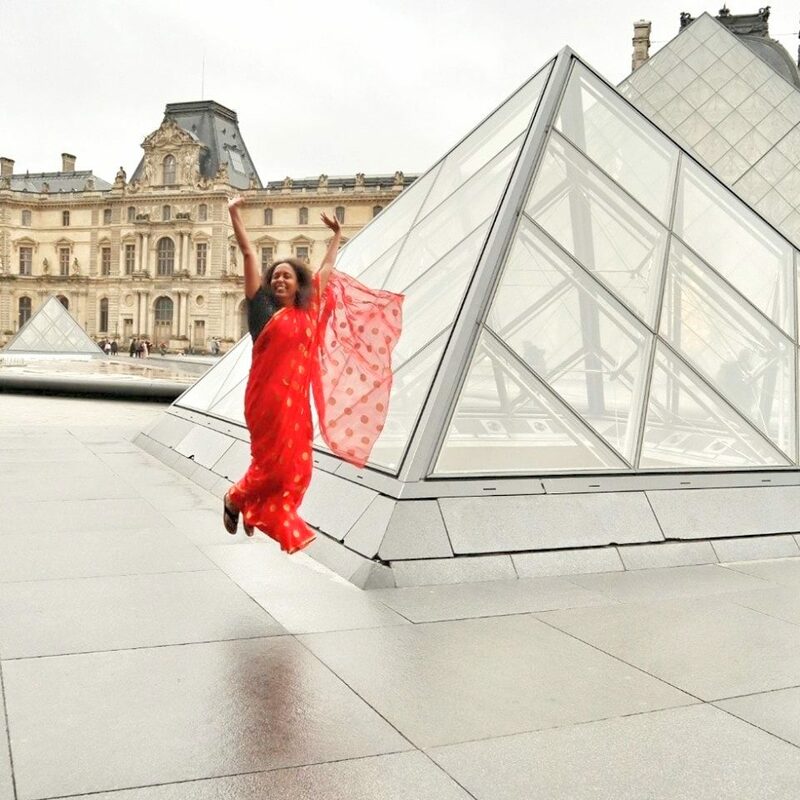 I had a gala time standing on the top and clicking pictures. I was glad (and not for the first time) that I had a wide angle lens which could capture the whole amphitheater more or less. The houses you see on the horizon are Palestinian settlements. And if I thought climbing up was difficult, getting down was even more trickier. The steps were steep and a bit more slippery while getting down. I had no intention of falling down and breaking my bones. I finally got down safely by going in a zig zag fashion. Others found stairs that were smaller and not so slippery. It was quite an adventure to go up and come down the amphitheater. If you like walking I recommend that you do climb up as the view from the top is really beautiful.